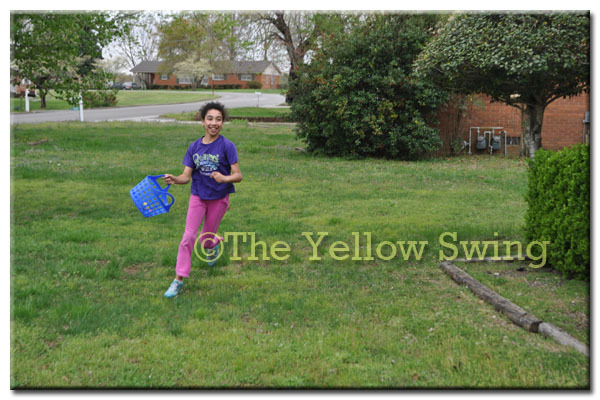 I filled and hid 90 eggs with sweet treats and watched them run around the yard in search of them. Some were obvious hides, but I did a good job of hiding a number they had to really search for hard. I don’t miss the hard-boiled real and smelly eggs we use to find months after Easter when I was a child.